Last week we talked about all the nonsense things that are thought to be the “magic pill” to speed up your Windows computer (clean the registry, defrag, etc). 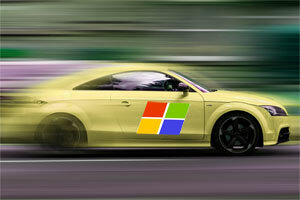 Today we’ll talk about what actually DOES speed up your Windows computer. When you install software, in many cases it designates itself to start up and run every time you turn on your computer. You might not see a window on your screen that shows it running, but it’s running. And the more programs you have running at the same time, the slower they ALL run. So you need to tell your computer that when you boot it up, it doesn’t need to run all those programs. In Windows 7, click the Start button and type MSCONFIG and click that when it shows up in the menu. Click the Startup tab, and uncheck anything that doesn’t always need to run. In Windows 8.1 or 10, hold down Ctrl + Shift and tap Escape. If necessary, click “More details”. Click the Startup tab, then right-click and disable anything that doesn’t always need to run. Now the big question – which programs need to run all the time and which ones don’t? I can’t really answer that specifically for you, since your list is specific to your computer. Of course you want to always have your antivirus program running, and probably your automated backup software, and programs that are related to the actual functioning of your computer (such as the audio, the touchpad, etc.). If you’re not sure about something, better just leave it there. I can take care of this remotely if you want. If you don’t have a good antivirus program, you might have all kinds of viruses and malware running on your system. These things will really slow things down. If you’re using Norton or McAfee, you need to replace that with a good antivirus. Has your browser home page changed recently? Have you noticed that your searches that used to be on Google are now using some search engine site you’ve never heard of before? Does some odd site show up when you click to open a new tab? These are all signs that your browser is infected with this junk. You need to get rid of that stuff. There are lots of programs that are designed to remove viruses and malware from your computer. But most of them are created with the idea that it will probably be a technician using them. If you don’t know how to do this, there is the possibility that you could mess things up. This is a process that I can handle for you remotely if you aren’t familiar with how to do it. Memory (also known as RAM) is a different thing from storage space. If you want to know how much memory you have, open File Explorer (Windows key + E) and do a right click on “Computer” or “This PC” and choose Properties. 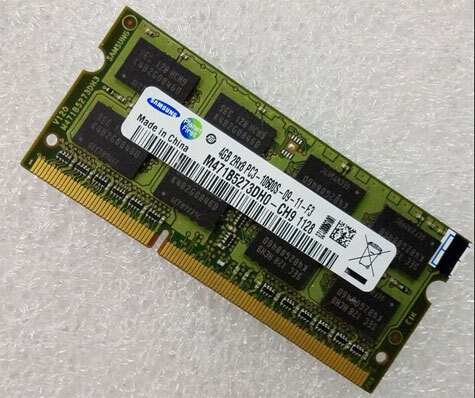 Most computers being sold today have at least 4 gb of memory. In general, the more memory your computer has, the faster it will run. Most machines will run okay on 4 gb, but if it’s in the budget and you can get 8 gb, that’s even better. Doubling the memory will usually create a noticeable increase in speed. And you will probably be surprised at how easy it is to install. You can go to YouTube and look up videos on how to install memory in laptop or desktop computers and you’ll see the process is not difficult at all and only takes a few minutes. Definitely worth the effort. You might say I’ve saved the best for last. One of my favorite upgrade projects is replacing a traditional hard disk drive with a solid state drive, because I know the client’s reaction will be amazement at how much faster the computer operates. Your current desktop computer’s hard drive is basically a metal box, about the size of a paperback book, with some spinning platters on the inside. That’s where your data is stored. If you use a laptop, the drive is smaller but the same mechanical principle applies. With those moving parts, the computer takes longer to boot up and longer to open programs and access your data. A solid state drive has no moving parts. The data is stored in flash memory, kind of like the storage that’s on your thumb drive. They’re still more expensive than a regular disk drive, but those prices continue to come down and a lot of people are making the switch. So how much faster is it? Well, think about when you turn on your computer – how long does it take from the time you hit the power button, until the computer is completely booted up, everything is displayed, all of the programs that are supposed to be running (such as your antivirus) are running, and you’re connected to the internet? Some people hit the power button and then go make a cup of coffee and come back rather than sit there and watch it. With a solid state drive, that process can take as little as 20 seconds. Total. I’ve done several recently that were that fast after the upgrade. In addition to a fast boot time, you’ll also find that individual programs open more quickly, and they also process information more quickly when they’re running. It’s pretty amazing. Upgrading to a solid state drive is not a project that the average person would want to take on. In addition to physically taking out the current drive and installing and connecting the new drive in the computer, you have to consider the fact that the new drive is blank. All of your software and files and folders need to be brought over. In most cases, I can do that in such a way that everything on your computer looks just like it does now. It will just be a lot faster. If this is of interest, get in touch with me. I just need to get a bit of information from you and then I can let you know what it would cost. One final thought – even though doing one or all four of these things will speed up your computer, none of them will speed up your internet connection. That’s a separate issue and is directly related to your internet provider and the speed they are able to give you from the modem or router.